Gmail quietly adds multiple account sign in! ~ Android Forever! Gmail quietly adds multiple account sign in! 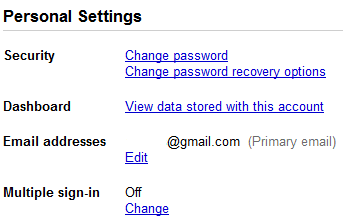 Go to the Google accounts page and look for the new option called "multiple sign-in." If it's there, click on the "Change" link and follow the directions. When you've set up your additional accounts you will see a drop-down list next to your default email address. Now you can easily switch between multiple Gmail accounts.